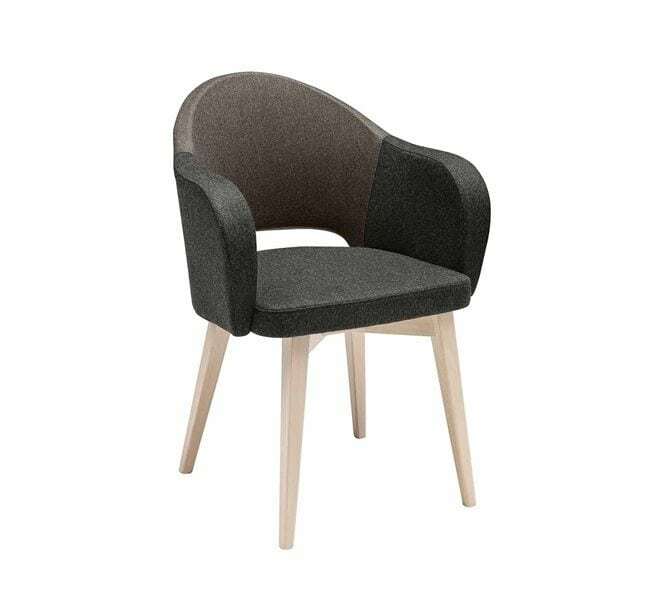 Armchair with a solid Ash frame in your choice of finish. Fully upholstered in your choice of fabric. Finish: Natural Ash, Ash Moka Stained, Ash Canaletta Walnut Stained, Ash Wenge Stained or Matt Lacquered Open Pore. Armchair with a solid Ash frame in your choice of finish. Fully upholstered in your choice of fabric. Upholstery: Available in C.O.M. or C.O.L. (customer’s own material or leather). Finish: Natural Ash, Ash Moka Stained, Ash Canaletta Walnut Stained, Ash Wenge Stained or Matt Lacquered Open Pore. Dimensions (WxDxH) 01: 710x750x730mm.